A saboteur plants incendiary bombs at Fort Gray. Can GI Joe stop the fires before they reach the ammunition dump? Mysterious Explosion (7921) was a 1969 only set. It offered a simplified version of the Crash Crew Uniform along with some medic accessories and a white and red stretcher unique to this set. 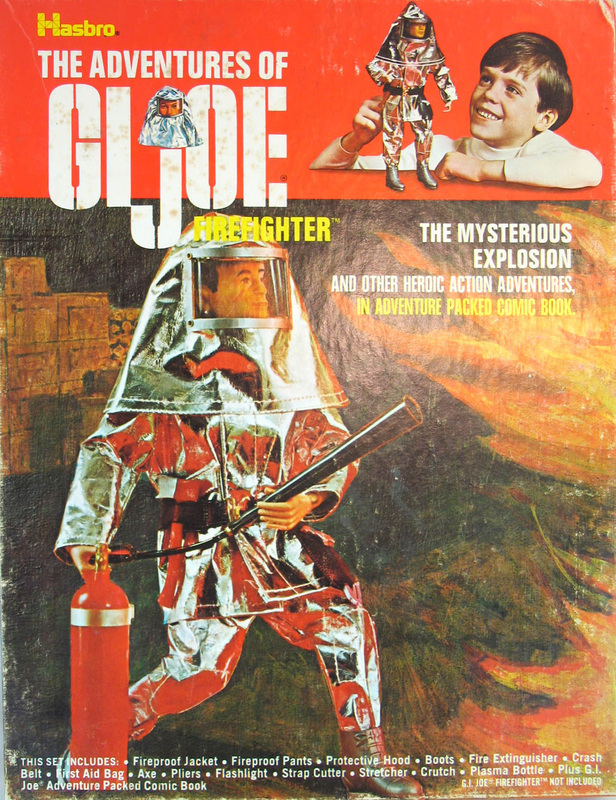 In the comic, Joe battled a blaze set by a saboteur. Note the disappearance of pockets on the fireproof suit, the frame and green window on the hood, the loss of paint details on the extinguisher and crutch. These are all examples of simplifications that likely reduced or held the line on production costs. 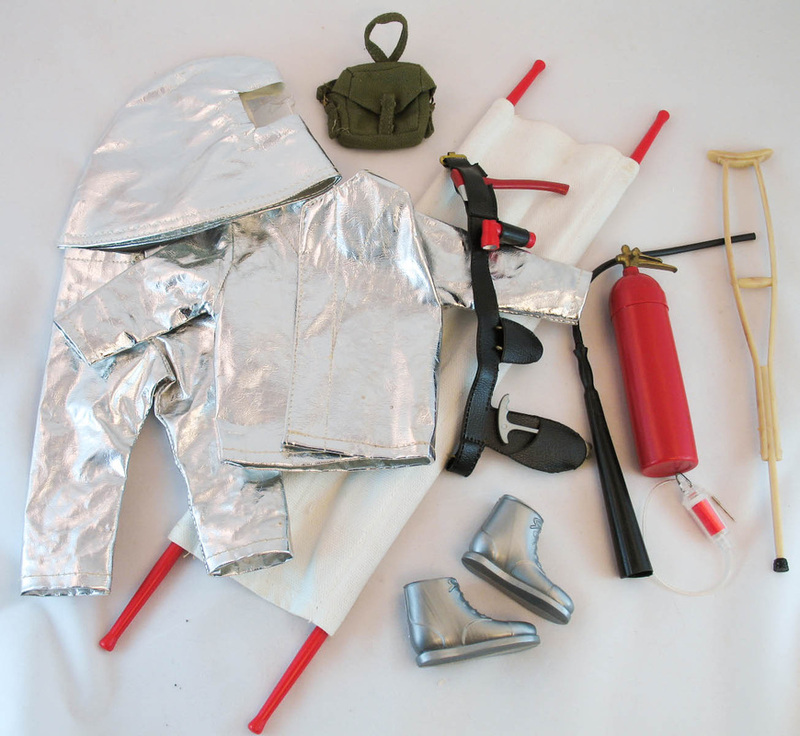 Overstock of this set was released during the Adventure Team era under the title 'Action Adventure' in an Official Backyard Patrol baggie with a cardboard header stapling it closed. I wish I had been at the store that marked this down from $5.00 to just 95 cents. 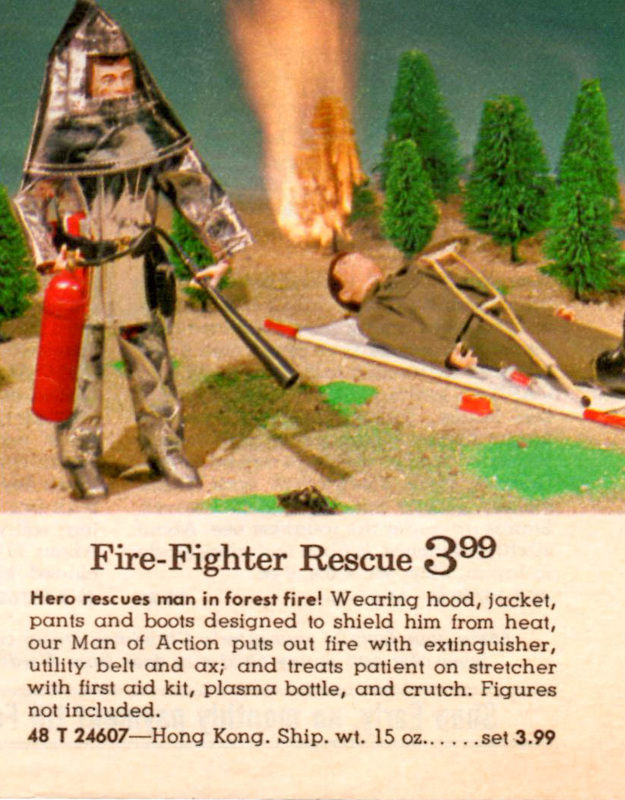 Renamed "Fire-Fighter Rescue" in a 1971 Wards catalog, it appears they actually set that model railroad tree on fire for the picture. Look out Joe! Reason for changing the set's name is unclear.